If you aren’t won over by that title, then I have no words. 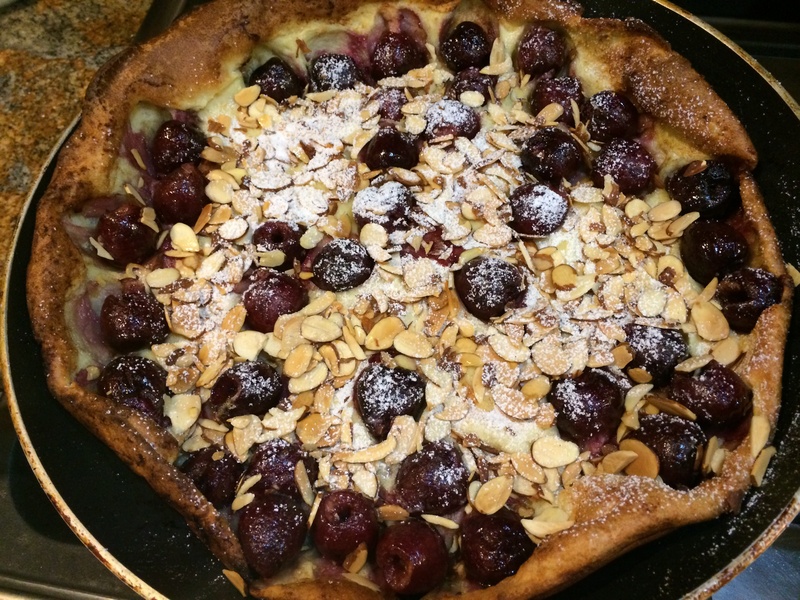 The first time I read the words “cherry almond dutch baby”, it was all I could do not to say “Awww, shucks!” And I don’t think it means I have babies on my mind…because I don’t. Handling this one rambunctious creature is just fine for now, thank you. But when in doubt, there’s always this cutely named pancake. It’s better that we get this caveat out of the way immediately. I have no idea what this pancake has to do with the Dutch. Or with babies. I suspect not very much (and I’m too lazy to google it), but maybe I’m mistaken. If I am, please feel free to illuminate me with your superior breakfast knowledge. The best thing about a properly made dutch baby is that it works in the singular. Meaning, you really need only one pancake to feed 2-3 people. How’s that for all you weary souls standing over the griddle, flipping what seems like your 50th pancake and feeling like you have a pretty thankless job? This one does the work for you. 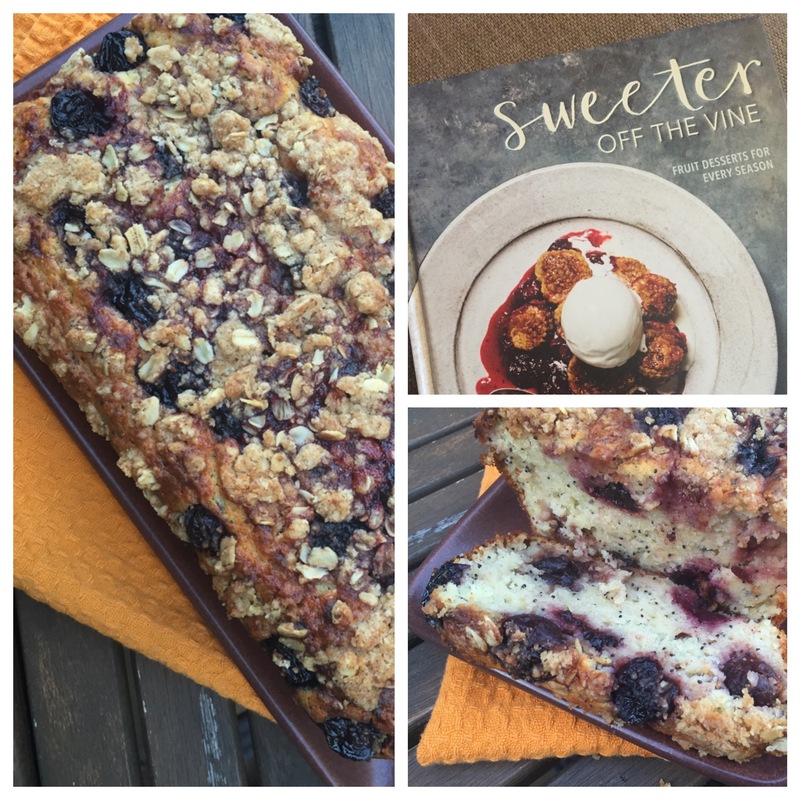 You pour a dead-simple batter into a skillet and stick the whole thing in the oven. And before you know it, you’re rewarded with a puffed, golden breakfast beauty. 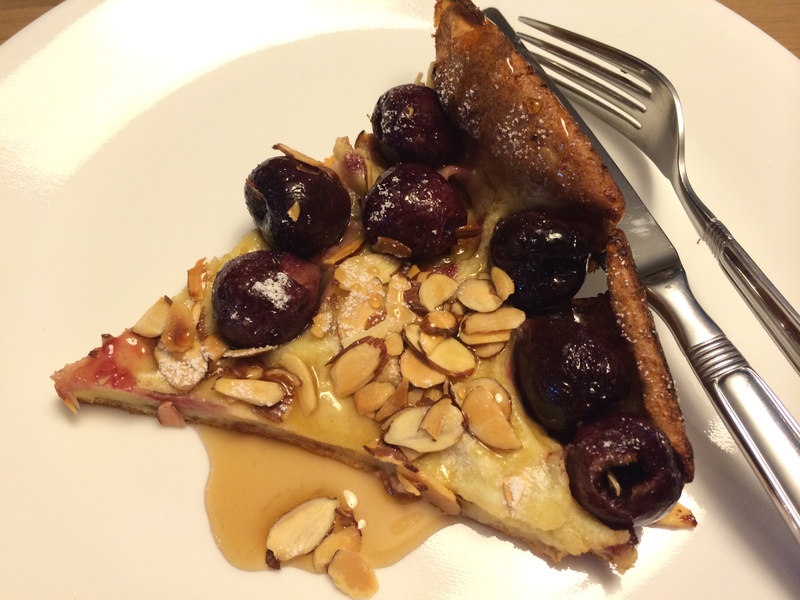 This particular version is gussied up with some so-in-season cherries and toasted almond slices. But i’ve also had them plain, with just a little ricotta and strawberry jam, and there ain’t a single thing wrong with that. Heat oven to 425°F. Whisk egg, sugar, flour, milk, extract and salt together until the batter is blended but lumpy. In a 12-inch ovenproof frying pan, melt butter. Add cherries and cook until warmed, about 2-3 minutes. Pour in batter and transfer to heated oven. Bake for 15 to 20 minutes, until golden brown and rumpled-looking. Remove pancake from oven and quickly scatter with toasted almonds, dust with powdered sugar and squeeze lemon juice over. Serve in wedges, piping hot, with a little syrup if you just can’t help yourself.